The origins of ice cream are known to reach back as far as the second century B.C., although no specific date of origin nor inventor has been undisputably credited with its discovery. We know that Alexander the Great enjoyed snow and ice flavored with nectar and honey. Biblical references also show that King Solomon was fond of iced drinks during harvesting. During the Roman Empire, Nero Claudius Caesar frequently sent runners into the mountains for snow, which was then flavored with juices and fruits. Over a thousand years later, Marco Polo returned to Italy from the Far East with a recipe that closely resembled what is now called sherbet. Historians estimate that this recipe evolved into ice cream sometime in the 16th century. England seems to have discovered ice cream at the same time, or perhaps even earlier than the Italians. “Cream Ice”, as it was called, appeared regularly at the table of Charles I during the 17th century. France was introduced to similar frozen desserts in 1553 by the Italian Catherine de Medici when she became the wife of Henry II of France. 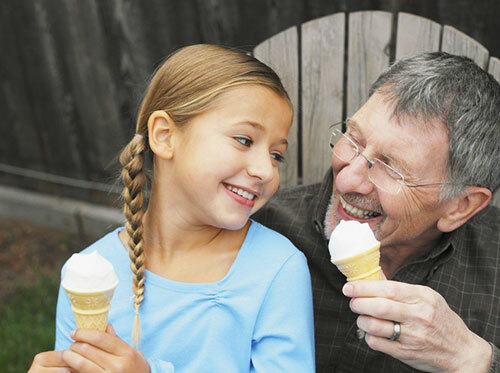 It was not until 1660 that ice cream was made available to the general public. The Sicilian Procopio introduced a recipe blending milk, cream, eggs and butter at Café Procope, the first café in Paris. Today, ice cream is still very popular. We can make ice cream with ice cream machines in ice cream plant. There are more flavors, more colors, and more shapes.